Rwanda has registered more than $150 million worth of investment in ICT projects over the last two years. 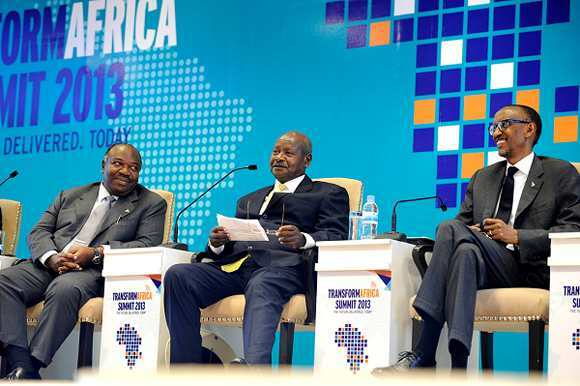 The investments were courted during previous Transform Africa summits held in Rwanda’s capital Kigali. With another summit scheduled from October 19 to 21, with ten heads of state and government and 2500 delegates expected, the country is warming up for more deals. Ingabire Paula, the head of ICT investments at Rwanda Development Board, said the country looks forward to using the summit to attract more ICT investments. Several prospective investors from across the world will be lured by the opportunities in Rwanda. Rwanda, notably, seeks to increase Internet usage to 95% by 2017 from the current 36.5% (3.6 million internet users). Other services are also required, considering that the digital gap is shrinking day by day. Mobile phone users increased from 42,000 in 2000 to 8.5 million by August 2015. President Paul Kagame said during the 2013 Transform Africa Summit that ICT has the potential to boost economy and improve living standards of the people. “Where would Rwanda be if we hadn’t invested in ICT? Have we lost anything by investing in ICT? My discovery is that actually ICTs have played important roles… The ICT has cut across every sector and made its mark and contribution,” he said then. Meanwhile, Transform Africa is seen as a platform for dialogue and deal making between governments and the private sector on technology solutions for socio-economic transformation. Young innovators from Africa and beyond use the space to showcase their potential. This time round, there will also be advocacy for women empowerment through technology and recognizing exemplary innovations that are excelling in using technology to drive socio-economic transformation. Member countries will also showcase the benefits of partnering with leading technology solution providers. Kagame believes Rwanda is better off by investing in ICT. In particular Rwanda will share experiences working with Cisco, IBM, KT, Facebook, Toyota Tsusho.